Just a little more than a month to go for the beasts to go roaring yet again as the official 2019 MotoGP calendar has been released. 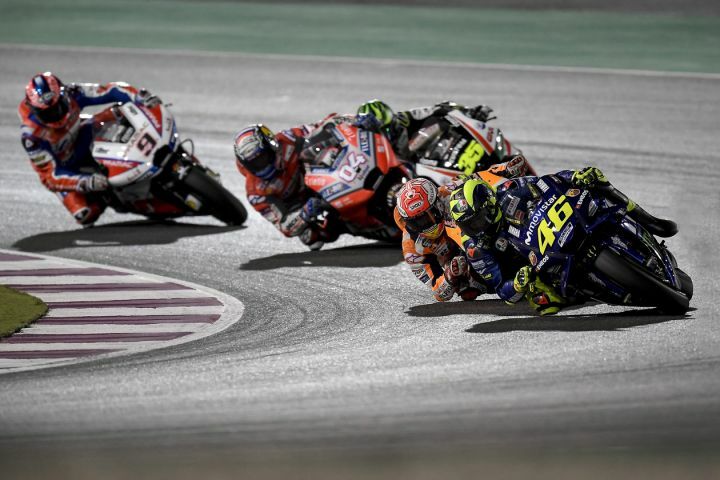 And like always, the 2019 season will begin under the floodlights in Qatar on March 10. The night race has been the season opener since 2007. 19 rounds will be contested over the course of the season with the final round in Valencia, Spain slated for November 17. Spanish circuit, Jerez has always been the first European round of the championship and it is no different this year as the racing series will move to the continent in the first week of May. The summer break will take place between the rounds in Germany and Czech Republic while the usual triple header of Japan, Australia and Malaysia has been retained. What we hope for is a more hotly contested 2019 season with the championship going down to the wire in Valencia and not for Marc Marquez to breeze through the season much like he did in 2018. His new teammate Jorge Lorenzo might have a thing or two in store, while the all Italian crew of Andrea Dovizioso and Danilo Petrucci would desperately want to bring the title back to Bologna. However, do not discount Valentino ‘The Doctor’ Rossi. He might be 40 years old heading into the 2019 season, but the old dog might still have a remedy or two for his fellow rivals, only if the boffins at Yamaha have solved their issues that is. Remove the word old dog...It's not a dog race....Rossi is all about legendary and entertainment for the decades and he is the one who pulls half of the crowd to any Moto gp race. Remove the word old dog...It's not a dog race....Rossi is all about legendary and entertainment for the decades and he is the one who pulls half of the crowd to any Moto gp race.